I can’t exactly remember how I stumbled upon Brendan Dawes online, but it was most certainly through Twitter. Brendan‘s art has always fascinated me. His use of data to create stunning and quite often arresting visuals whose style is reliant on the deeper, hidden information, which is tantalisingly unavailable to the viewer. His current labour of love is Kennedy. I am presuming the name comes from the question “where were you when Kennedy was shot?” The Irish version of this is “where were you when Packie Bonner saved the penalty?” (12 minutes in). Back to Kennedy. 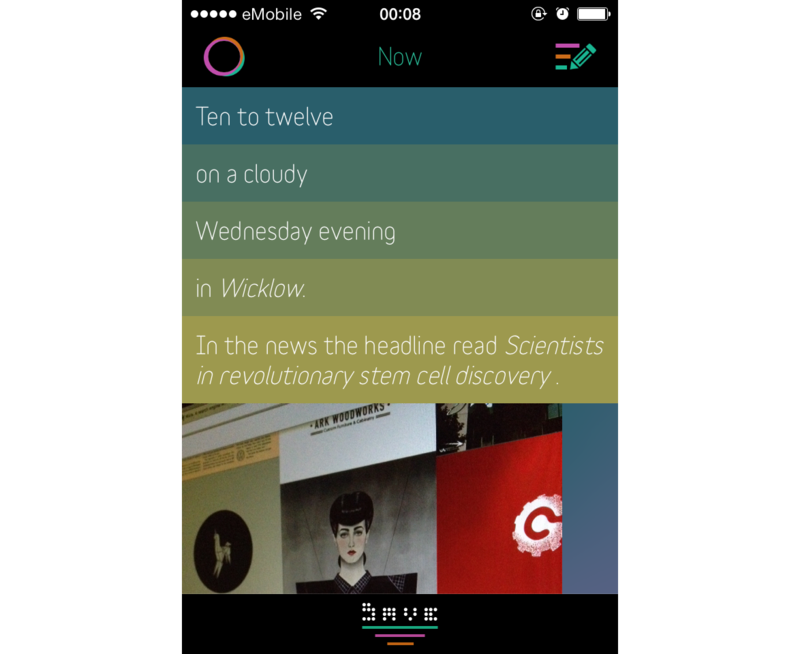 I used to keep a diary and since owning an iPhone I have been searching for a journal app that is unobtrusive, but feels like it is utilising the technology available to it. For me a journal is private, something that is shared only when you choose to do so. So leveraging the connectivity of a mobile device to share just never captured my imagination. This is where Kennedy steps in. It exploits the features of the iPhone without flaunting them. From the moment you tap on the understated icon you feel like you have briefly left iOS and are momentarily in stasis. 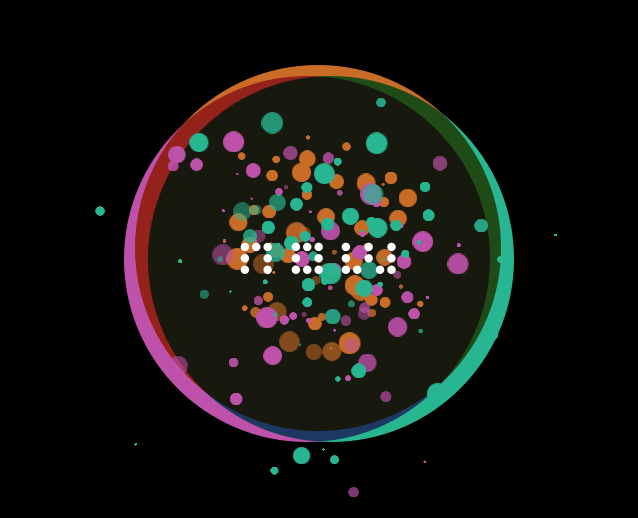 The beautiful fractal-like animation that floats around the Now button is quite mesmerising, but entices you to record this moment in time, record the Now. The interface (for me) is straight of out Cyberpunk; seamlessly pulling in the time, weather, day, location and news headline in a way that feels like you are really capturing a moment with clarity and detail. Pulling this information in makes the technology come alive in a way that seems almost organic. The varying colour palette for each capture is beautiful and meaningful, evoking an emotional response. Part of me sees a future version of Kennedy actually basing the colour palette on your current mood by reading biometric information from you. There really is a certain romance to the inevitable dance we will play with technology as it becomes less and less obtrusive and more and more cohesive to our daily lives. Despite the futuristic feel of Kennedy there are analogue references that feel authentic and essential, yet resist the urge to be skeuomorphic. Without trying to overstate the matter, Kennedy is easily the closest thing I have come across on a mobile device that felt more native to that device than the very operating system running the thing. It feels like a pinhole glimpse into what the future of device interaction will become. It’s like Bladerunner in your pocket.